This article is part of our series: The Logitech G27 Racing Wheel for Casual Racing Gamers. Here, we will cover setting up your G27 racing wheel to play Burnout Paradise: The Ultimate Box. The 7th game in the series, Burnout Paradise was developed by Criterion Games and published by Electronic Arts. Burnout Paradise is an open world arcade style racer. Burnout Paradise introduced an extensive wreck-able damage system and stunt challenges. Ultimate Box simply contains all updates and content of console versions. Solid Tips: Looking for G27 drivers or Logitech Profiler software? Get it here. Also, Don’t bother with the multiple monitor options unless you have both Windows XP and an Nvidia Card. 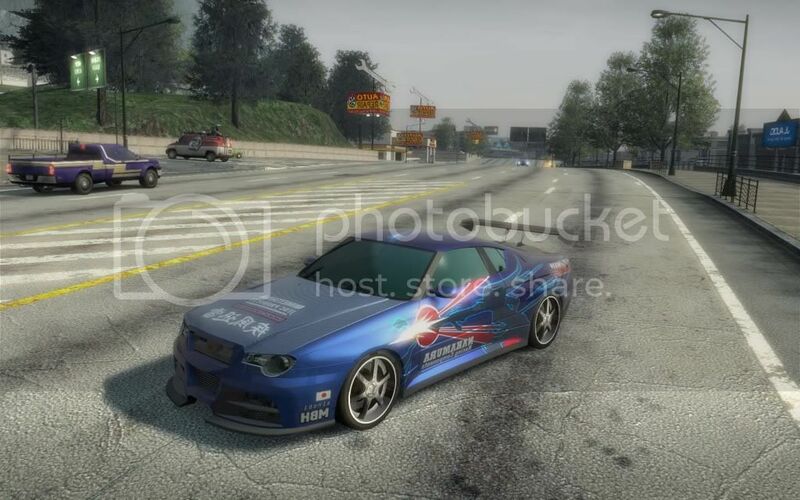 Add BurnoutParadise.exe as a new game. Leave ‘Spec Force Feedback Settings’ unchecked. The secondary controls are entirely optional. Here you can adjust in-game sensitivity and steering dead zone. There are also adjustments for the pedals, but I don’t see a casual gamer ever needing these. Adjusting the dead zone here would mean less play in the center of the wheel, but also more difficulty in driving straight. I’ve just purchased the G27 Racing Wheel, but am frustrated because I cannot get my games to work properly. I have Race Driver: GRID working, after overwriting the actionMapPreset1.xml, with one for the G27 I found on the net. The file is located in the ActionMap directory. The only problem with this game is the damn steering. Found it difficult with Xbox 360 controller, and it is not any better with the G27 wheel. Slightest movement of the wheel over steers the car and crashes it. 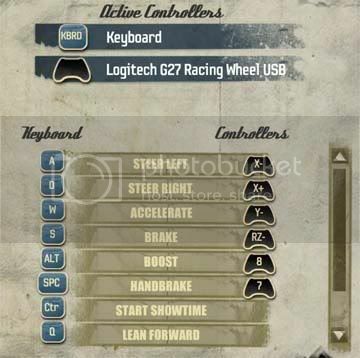 I’ve found the active Controllers settings in Burnout Paradise, but only the Keyboard is displayed NOT the G27 as in your screenshot above. Is there a game profile for this for use with the wheel? What directory does it reside? Someone’s help would be appreciated. Hi Nasar. Both GRID and Burnout work great with the G27. I don’t modify any game files or use other people’s Logitech profiles, and I really don’t see any need to. If you follow my step-by-step guides (including the global G27 settings in atricle #2) it should only take 1 or 2 minutes to add any new game and configure it. I leave all extra settings at their default unless noted. This includes stuff like sensitivity, feedback strength, dead-zones, etc… If you downloaded some pre-made file, it might be causing you the trouble. One big thing to look out for- don’t leave other controllers plugged in when you have your wheel plugged in. I did in fact follow what you said here and in article#2. 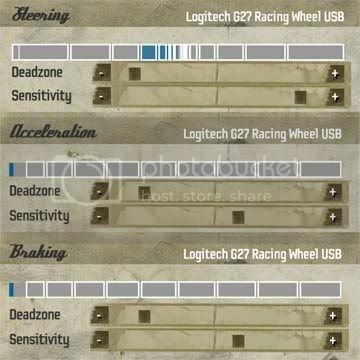 How did you get the “Logitech G27 Racing Wheel USB” text to appear on the “Burnout Paradise Controls” and “Burnout Paradise Secondary Controls” screens? The G27 is NOT automatically recognized by “Burnout Paradise”, well not on my system anyway! If it is not recognized, then you cannot assign keys. Other controllers were disconnected and all drivers etc are up to date. Hopefully steering will not prove to be a big problem? Hey, you’re in luck! I deleted my Burnout save games/config and started over, only to see just what you said: the wheel was not listed. I mashed a few buttons and discovered you just need to bind any key for it to show up! So… mouse click on ‘Accelerate’ and hit the G27 gas pedal. Problem solved. I’m going to update the article so future generations won’t be confused like us. Thanks! I got a huge issue with my G27 and BOP : the dead zone when turning the wheel to the right was huge, while non-existent when turning to the left ; of course, I had set dead zone to 0 in the menu, but it had no effect when turning to the right. To remove that big dead zone, I had to go to the dead zone settings, and then turn the wheel to the full right extent & then full left extent, and finally re-set the sensitivity ; then I exited the menus & the car was finally drivable !